Lansing, Michigan, is the surprising home of several terrific Mexican food restaurants. My friends from other universities often tell me how spoiled I am to practically be next door to wonderful places like El Azteco. Even Lansing’s run-of-the-mill Mexican food is better than what you can find in other college towns. A colleague of mine used to go on and on about a place in Lansing’s Old Town called Pablo’s Panaderia. For whatever reason, I didn’t take his advice to try it until earlier this year (and I’m sad I didn’t). They serve pretty darn good food. 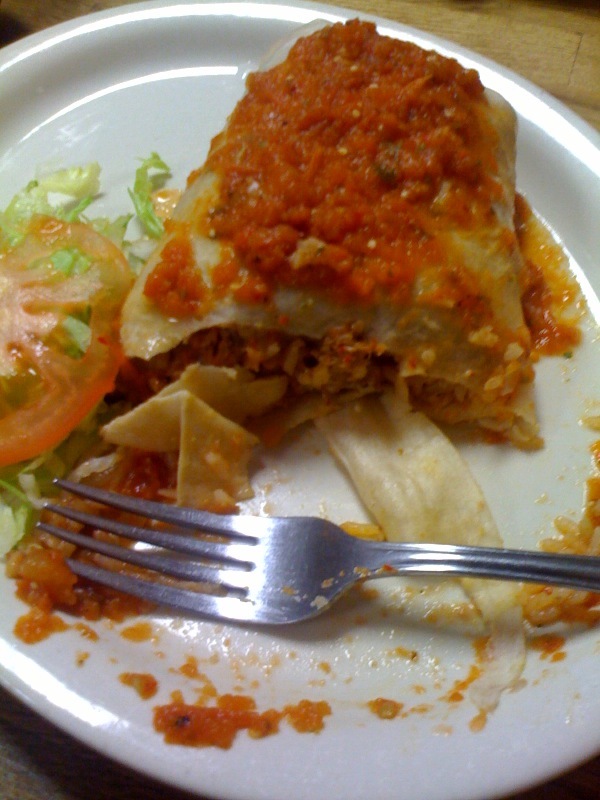 On Friday, I went back out to Pablo’s and ordered a wet burrito. 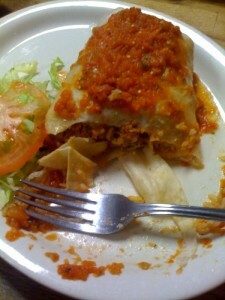 Without a doubt, that’s the best wet burrito I’ve ever had. The tortilla was perfect, and while the contents could have been better, they will still as good (if not better) than competing wet burritos. One other thing I’d like to mention: The chips are outstanding. Like any good Mexican food restaurant, they’re freshly made. Unlike other Mexican food restaurants, they’re also freshly served. (Can’t believe how often places serve up stale chips). With a bottle of Mexican Coca-Cola, my bill came out to a shade over $9. That’s pricey for a lunch, but I don’t mind paying more for the good stuff.